why we tease ourselves, drooling over someone's food blog (I added this one). The show attributed our voyeuristic enjoyment on mirror neurons. When we watch one of these activities, inside our brain our neurons are firing similarly ("mirroring") to as if we were participating in the activity ourselves. In your brain, some neurons are firing just like mine did in real life when I was tasting the sweet, smoky wings and mouth watering beans. Relax, there is no such thing as "mirror calories". October is a big month for spectator sports. Baseball championships are underway, football is in full swing, and NASCAR is in the chase for the points. 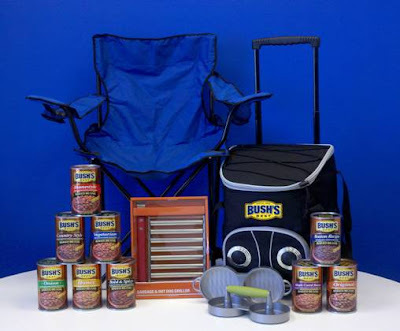 To help you enjoy your mirror neurons, the fine folks at Bush's Baked Beans are sponsoring my October "Gameday Giveaway" with this prize package! It includes 2 Bush's Beans chairs, enough beans for 20 tailgaters, hotdog/brat griller, hamburger press and a fun cooler with built in powered speaker system to play your MP3 tunes or listen to the pregame show (MP3 player not included). Bush's also sponsored a tailgate party for my friends and family this week at one of my son's football games. We had "bulldawgs", stacked burgers, Bush's Baked Beans and more. I'll post about that AND the giveaway details next weekend. Small bites = quick cooking and convenience. 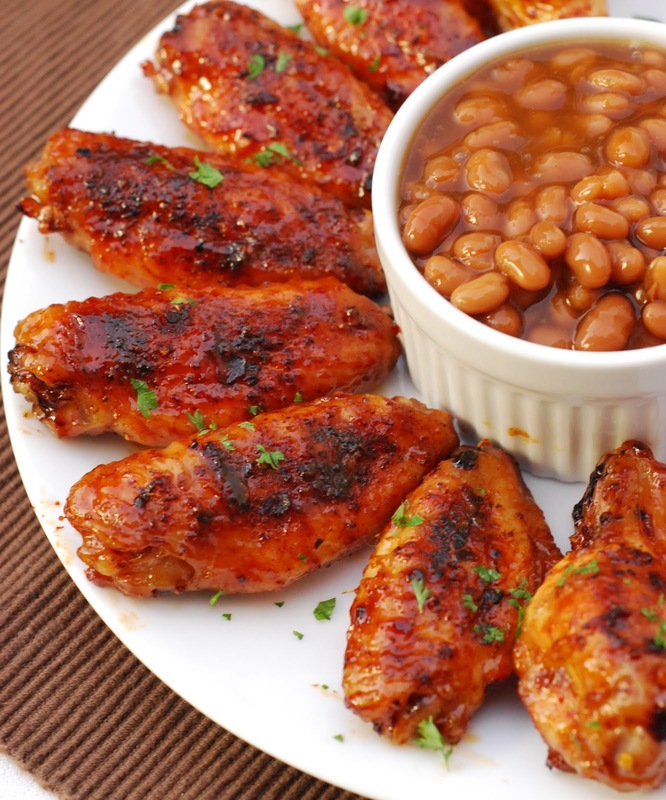 Sure ribs & roasts are great but burgers, hot dogs, wings and brats cut down on prep time, cook a lot faster, and let you spend more time socializing. House Rules: If you are tailgating onsite, find out the stadium rules BEFORE you go. Many places are now enforcing strict rules for tailgating including WHEN you can start and whether open flames can be used. I have to run. The Jaguars game starts in 30 minutes. We may stink this year but I still like to watch the games and get my "mirror neurons" fired up. [Standard Disclaimer] I received compensation from Bush's Beans for this post but any opinions are my own. I have used and posted about Bush's Beans long before ever entering a sponsorship with them.